In the morning, drive to the city of Orange founded by the Romans in the 1st century BC. You will admire the very-well preserved Triumphal Arch and the Roman Theater which is still used nowadays for lyrical music festival during the summer season. Plenty of famous artists from Sarah Bernhardt , Montserrat Caballé, Placido Domingo, Luciano Pavarotti or Roberta Alagna have performed on its stage . On Thursdays, stroll in the open-air provencal market in Orange. Continuation to the vineyards of Châteauneuf-du-Pape located a few kilometers away from Orange. During a panoramic tour of the vineyard, your driver will provide explanations about "terroir", grape varieties or vinification. Stop at cellar and enjoy a wine-tasting (included) : taste the increasingly sought-after white wines produced and the powerful red-wines of the worldwide-famous appellation. In the afternoon, you will visit the UNESCO World Heritage Site of Pont du Gard, the best preserved roman aqueduct. Take the easy-to-walk path linking the car park to the bridge and discover this impressive witness of the Roman architecture. Drive to Les Baux de Provence, a picturesque medieval fortress in the Alpilles mountain range. The village is still nowadays a source of inspiration for local artists : stroll in the numerous painter's and sculptors galleries. 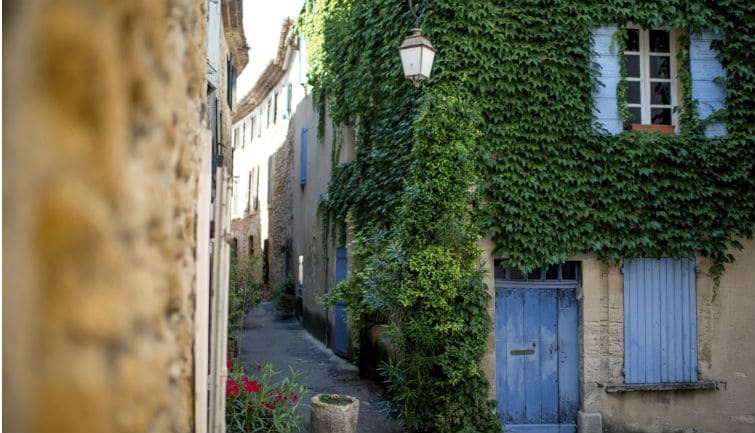 Continuation to the Luberon Valley : photo stop in the village of Gordes and free time to visit Roussillon. Dive into the local atmosphere so well described by Peter Mayle in his book « A year in Provence » . Free time for lunch on your own during the day. We had a wonderful day on this tour. Our guide Joanna was wonderful. She had lots of experience about wines, and shared so much about the sites we saw. The 3 villages we visited were lovely. My favorite was Les Baux - at the top of the cliffs. The Pont du Gard at the end of the day was so beautiful. Pictures were great as the sun was reflected off the site.